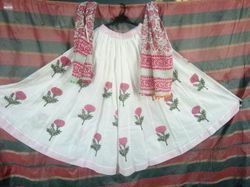 We are manufacturer of Ladies Skirts which includes designer skirts, hand block print skirts, chalis kali skirt, long skirt. 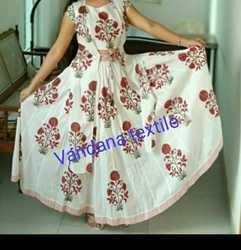 hand block Printed cotton Ladies lonf skrits. 40 kali fully 7 mier buta tradisional buta . we stiched half lining with uo block prints. our moto clints satisafucations. Looking for Designer Skrits ?